There are different types of comfort foods we turn to after a long day (common denominators of which are high levels of sugar, fat, and salt). The first thing that comes to mind is the best companion for lazing away—those you can easily bring and eat on the sofa (or in bed, if you’re that kind of person) while watching Netflix. And then there are those you eat properly on the dining table with rice, a.k.a. our favorite carb, those that remind you of the good times, celebrations, and family parties. 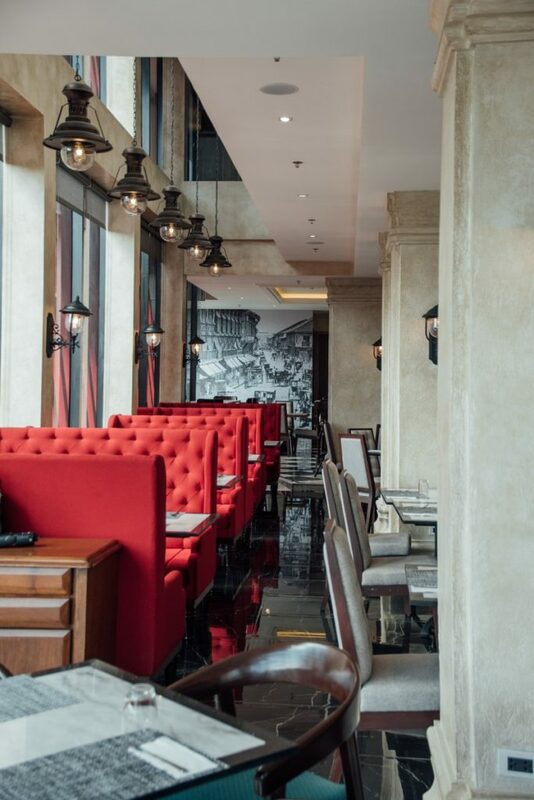 The latter is what Cusina Filipina tries to recreate with their classic Filipino dishes done their own way. 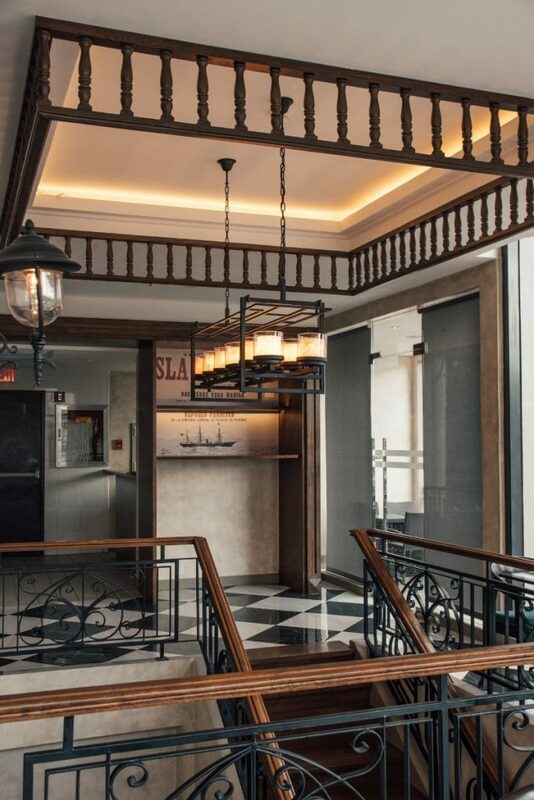 It’s located on the lobby and second floor of 1898 Hotel Colonia En Las Filipinas in Poblacion. 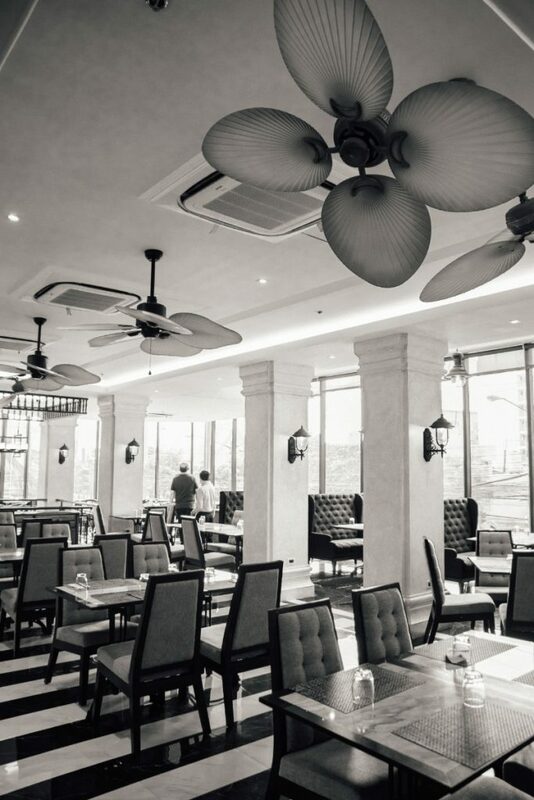 The restaurant complements the turn of the 20th century-themed hotel, that’s why they sort of radiate the vibe the early Manila must’ve given off during its time—with all the lamps that look like relics, a century-old wooden table from Bohol, ornate metal and wooden railings, and black and white photos of old Manila. 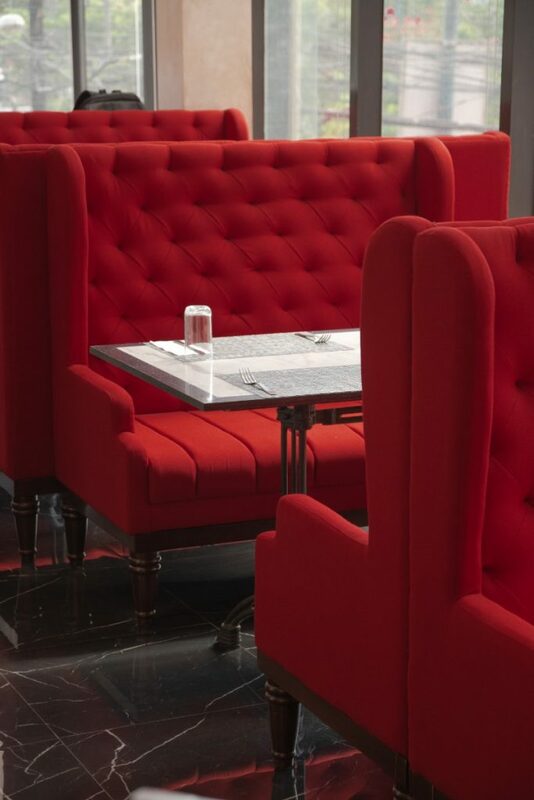 But they still incorporate sleek and modern elements like glossy and polished tiles and tables, and crimson red couches. When it comes to their food, Cusina Filipina’s Sinigang Trio is something you should try (it will surely remind you of celebrations in the province, where everything tastes a million times better). 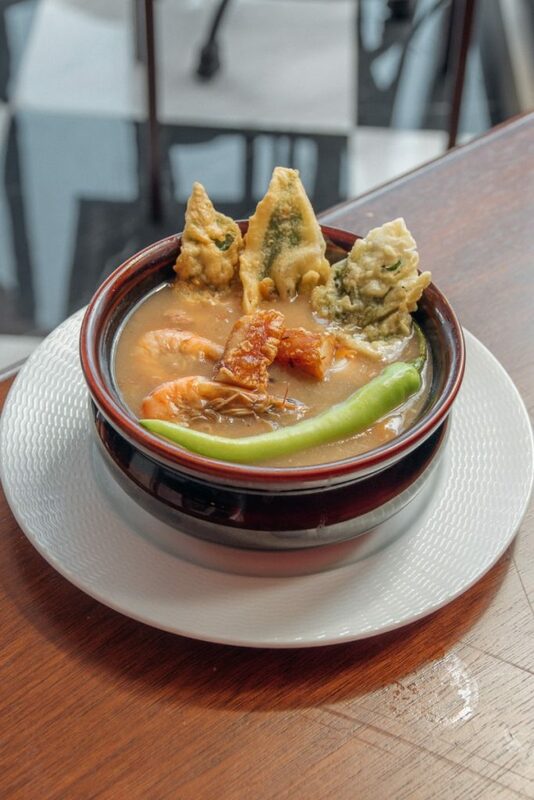 Shrimp, pork belly, and beef chunks swim in rich savory and sour broth with a hint of spiciness, which uplifts souls and spirits, together with vegetables like kangkong tempura. Giving much of the flavor are guava and tamarind, the souring agents used. They also serve one of the famous coconut milk dishes of Bicol, ginataang santol or cotton fruit. It’s a spicy dish where santol meat is cooked in gata and then wrapped in banana leaves. 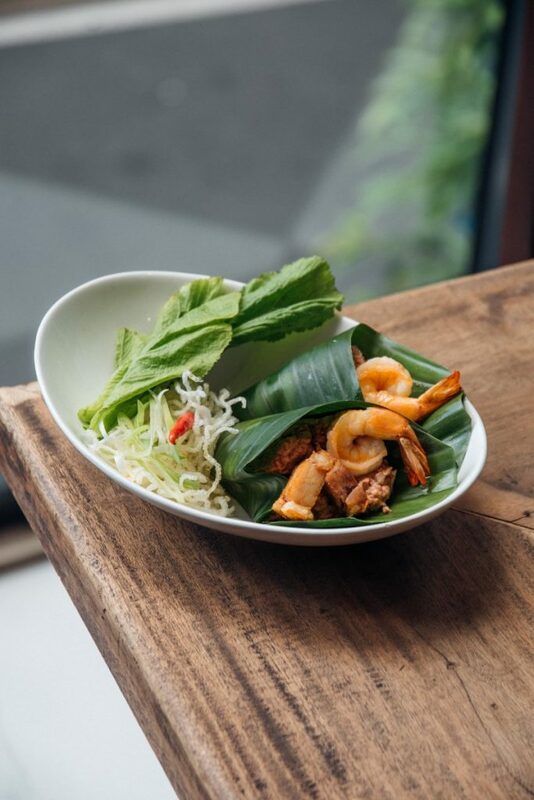 It’s topped with pork belly and shrimp and accompanied with mustard leaves (where you’re supposed to wrap the ginataan with crispy noodles before stuffing into your mouth). Since the theme is that particular time in history when Spaniards just left the Philippines (and Americans just entered the archipelago), Cusina Filipina most certainly has paella and theirs is the kind you won’t get enough of. 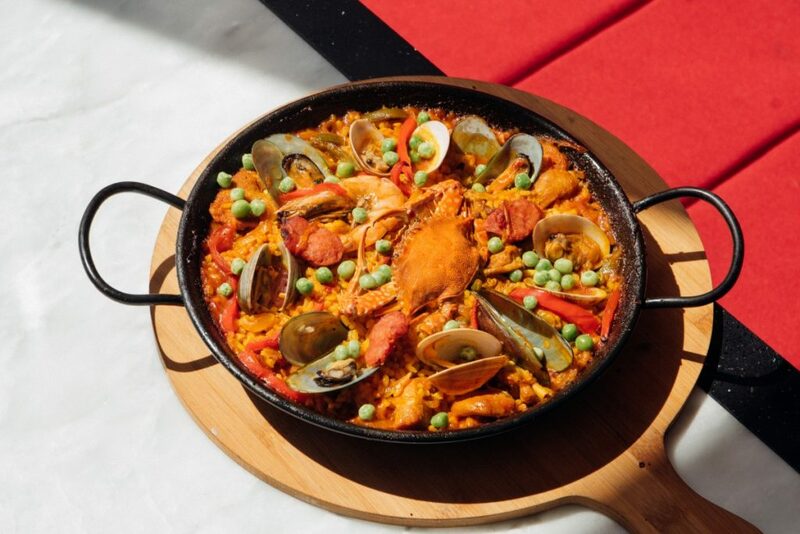 To rival any paella in the metro, theirs boast a strong tomato-ey flavor topped with an inundation of seafood. 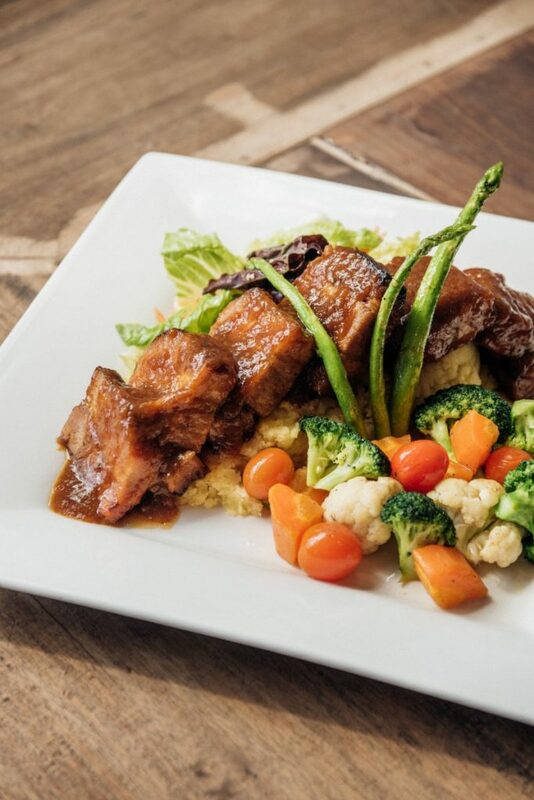 The appetizing pork dish El Pinoy Matador, on the other hand, attributes its tenderness, juiciness, and dark reddish color to the breed of pig they use—the high-end pork kurobuta or Berkshire pig. It’s served with mashed potato and Asian salad that complements its strong flavor. There’s always room for desserts, right? 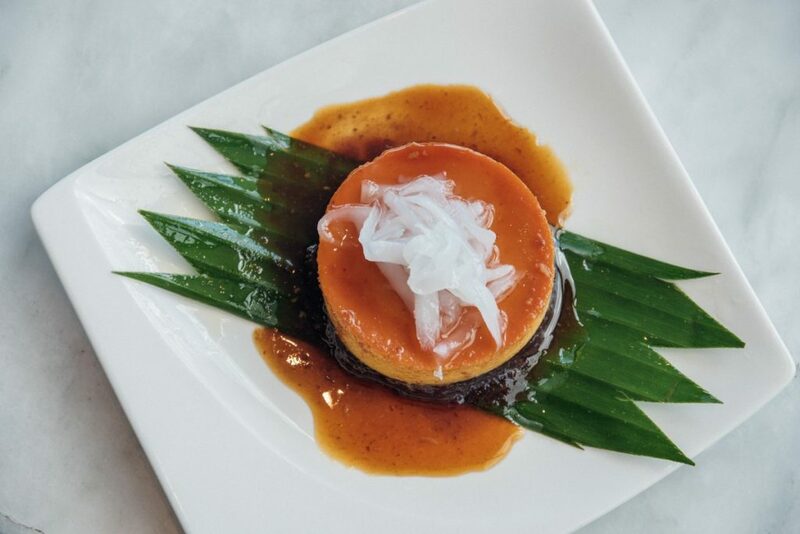 Try their rich and creamy ube leche flan capped off with glistening caramelized sugar and macapuno. Cusina Filipina also reinvented a classic sticky rice dish called inutak. 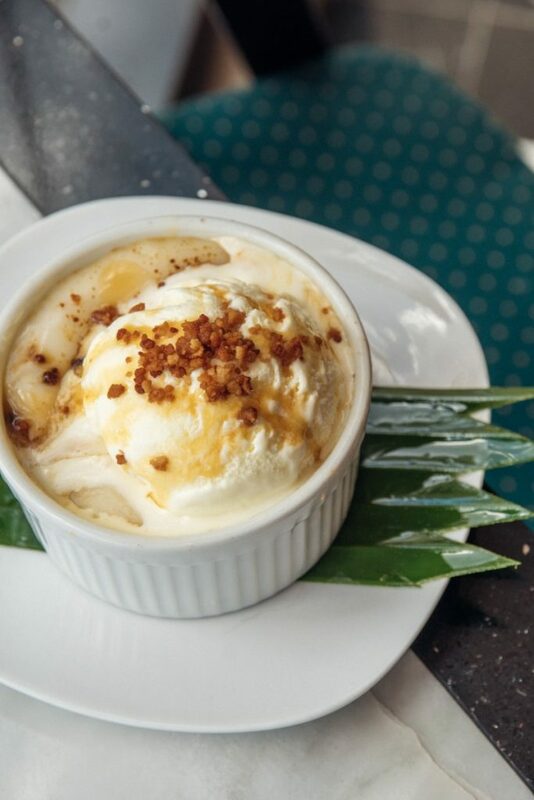 Cooked in coconut and topped with vanilla ice cream and toasted coconut bits, inutak is served in a bowl so make sure your spoon reaches the bottom of the spherical container to taste all the flavors. If water won’t work for you, try their cocktails. 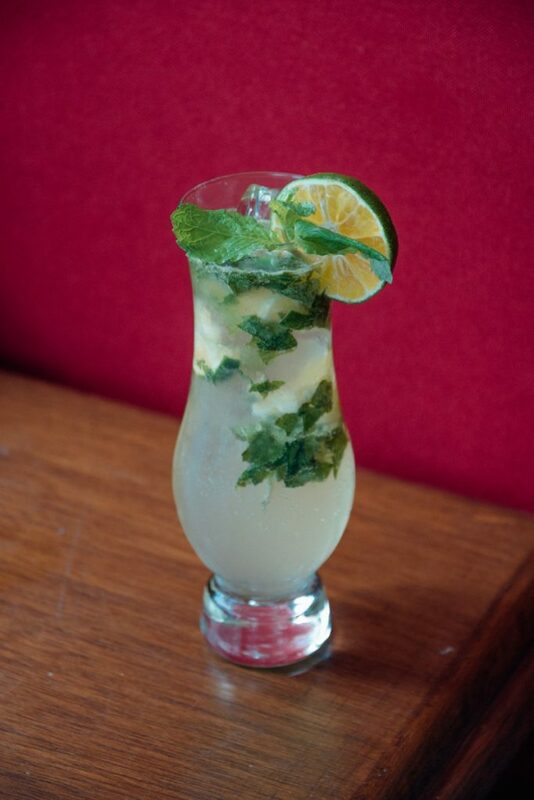 Lambojito is basically what you think it is—lambanog-based mojito drink instead of rum. 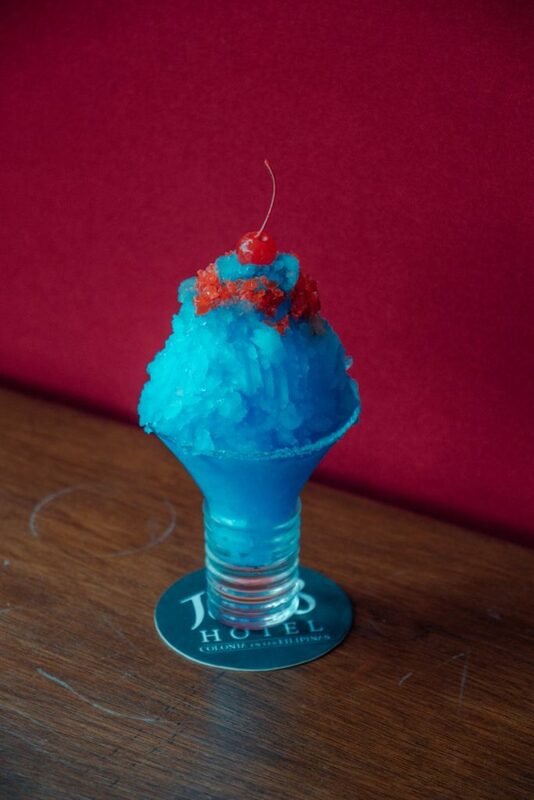 They also have frozen margaritas in three colors (red, blue, and white) for those who like their alcohol fun. Aside from the paella and sinigang, ginataang santol is also a must-try. It’s a Bicolano savory and spicy dish where the fruit is cooked in coconut milk.